Edward the Third stands in the burnt ruin of an English church. He is beset on all sides. He needs a victory against the French to rescue his Kingship. Or he will die trying. Philip of Valois can put 50,000 men in the field. He has sent his priests to summon the very Angels themselves to fight for France. Edward could call on God for aid but he is an usurper. What if God truly is on the side of the French? But for a price, Edward could open the gates of Hell and take an unholy war to France . . . Mark Alder has brought the epic fantasy of George R.R. Martin to the vivid historical adventure of Bernard Cornwell and has a created a fantasy that will sweep you to a new vision of the Hundred Years War. Nan squeezed him to her. And what a story it is. Son of the Morning takes everything you know about good and evil, heaven and hell and throws it on its ear, then gives it a kick while it’s lying there wondering what happened. We are in England, the year is 1330 and King Edward III is having a rough time of it. He needs to win a war against Philip VI of France to retain his crown. Edward has no money, less men than Philip, a black mark against how he came into his kingship, and no heavenly support because of it. He is lying, dealing, mortgaging everything he has and has not to keep his position. Philip has a huge fortune, large numbers of men, and the support of the church and it’s angels and banners to aid him in his war against Edward. But he is paranoid and untrusting of his own family and the power struggles that are building. With good reason. There are plots within plots. Alliances with evil forces and shifting loyalties. The characters are wonderful. Dowzabel the boy Luciferist. The antichrist. Holder of the key to open Hell. Bardi the banker, only looking out for himself. The Mortimer, the usurper . 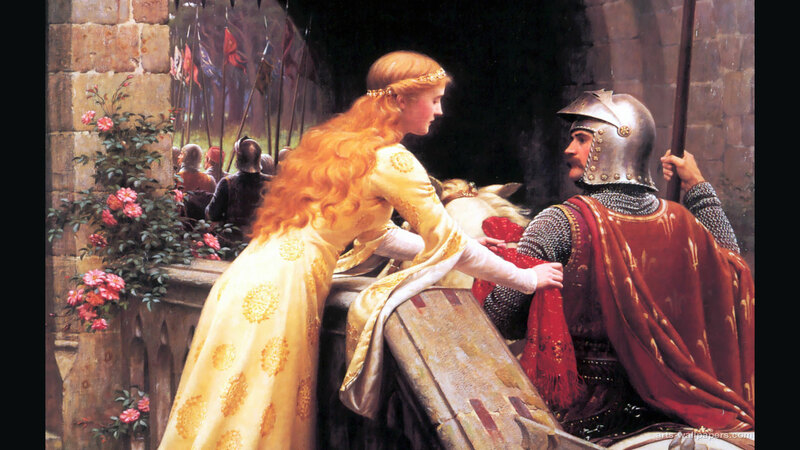 Isabella she of dark magic, Montagu the Kings man who lost his faith. They are all entertaining and intriguing. Mark Alder’s descriptions of the people, the smells, the filth and the cruelty, and the actions taken bring you right into the world of his making. I found myself totally caught up in events. The battle and conflict scenes are well written. The dark and bloody scenes are well done, graphic and effective. The creatures are imaginative and quite grotesque in some cases. The angels magnificent and alien. For me the theology is what sets this book apart though. The concepts put forward are intriguing and relatable. I admit to being a avid Mythology and Theology fan, reading anything I can on all cultures and faiths. I found this books version of Heaven and Hell to be just brilliant. Son of the Morning is like an alternate reality that runs parallel to historical text. Some have said its a bit long (731 pages), that isn’t an issue when a book is this good. I will be reading the rest of this series as it is released and I will also be looking for other books written by this author. Bravo! 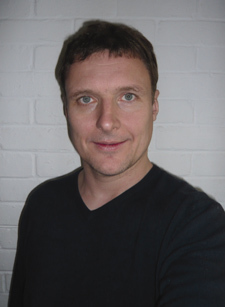 He grew up in Coventry and studied at the University of Sussex. He worked as a journalist and also as a stand-up comedian before he started writing his first novel, Girlfriend 44 under the name Mark Barrowcliffe. He lives and writes in Brighton, England and South Cambridgeshire. Ron Howard secured the film rights for Girlfriend 44 and Infidelity for First Time Fathers is in development with 2929. Mark achieved early success in the late 1990s as part of the Lad Lit movement, although his writing has little in common with other writers who were bracketed under that heading. He is nearer to Terry Southern, Jonathan Coe and Martin Amis than he is to Nick Hornby or Mike Gayle.This is more than likely a matter of presentation, as most of the British versions of his novels have appeared in the candy-coloured covers favoured by lad and chick lit publishers. Mark’s early work was noted for its cynicism and black humour, although Lucky Dog strikes a lighter tone, that of comedic magic realism. 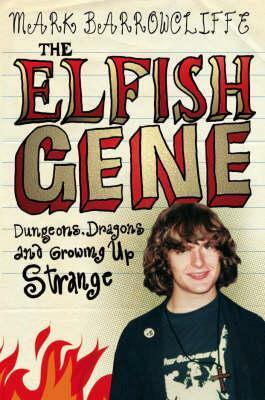 The Elfish Gene is a memoir of growing up uncool, confused, and obsessed with Dungeons and Dragons and other role-playing games. 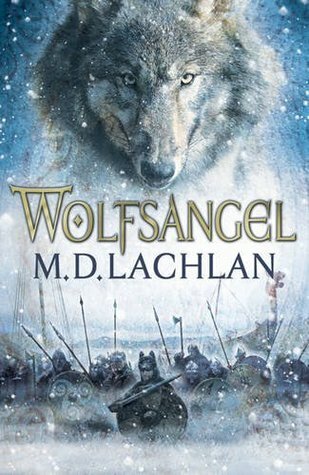 As M D Lachlan Mark is writing the Wolfsangel Cycle Books. These are a historical fantasy/horror hybrid that reflects Mark’s childhood reading on the occult and witchcraft. ‘If it makes you laugh, I’ve done something wrong’ says Mark. The MD in MD Lachlan stands for Mark Daniel – Mark’s real name. He went with initials instead of a name because, as so often in his life, he didn’t really think things through. Now he attends publishing events where people don’t know what to call him. He wishes he’d gone with Mark Lachlan but it’s too late now. 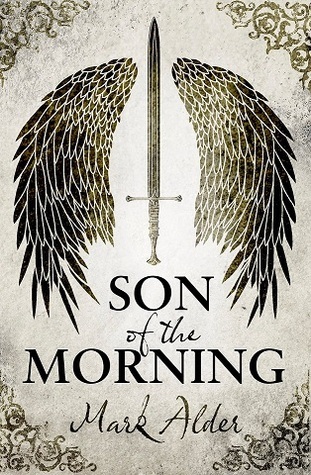 Now as Mark Alder he has begun a new series starting with Son of the Morning. Also historical fantasy/ horror based on a fascinating time in European history. The man has more aliases than a cold war espionage agent. BCN: When did you first feel the need to write? Is it something you have always done, or did you come to it later? MA: I’ve done it since I was able to. Most of the time at school I was writing comic stuff and I remember it as very rewarding to hear people laughing at what I’d written. I wrote several books of comedy before I came to fantasy. BCN: Are there any books or authors in particular that you find inspirational? MA: Too many! I am a bit of a style-hound. I love a good story but I also like someone who can really form interesting, original and arresting sentences. I started with PG Wodehouse when I was very young and loved Raymond Chandler too. Then it was Anthony Burgess – clearly Clockwork Orange in particular and Shakespeare. I remember the first time I saw Macbeth I was swept away by it. In fantasy Tolkien was a major influence, Ursula Le Guinn, Michael Moorcock, Fritz Leiber and more recently Robert Holdstock, Philip Pullman, GRRM and Joe Abercrombie. When I write a book I try to read around the area to get into the feel. With Son of the Morning it was Chaucer (in modern translation) because I wanted that real 14th century earthy, funny, violent and strange feel to the book. I don’t look to modern writing for direct inspiration because, if you do that, you’re stuff can end up as a pale copy. Some people are excellent at writing typical genre pieces, and there’s nothing at all wrong with that. I’m not, so I try to come up with something a bit different. BCN : There are so many great characters in Son of the Morning. Where do you find the characters? I know there is a historical base but do you use people, personalities you like/loathe you see or know? Or see something on TV or other places? MA: If the characters work, they just start talking to me and arrive fully formed. However, I do sometimes see someone who I think bears a strong physical resemblance to how I imagine a character. 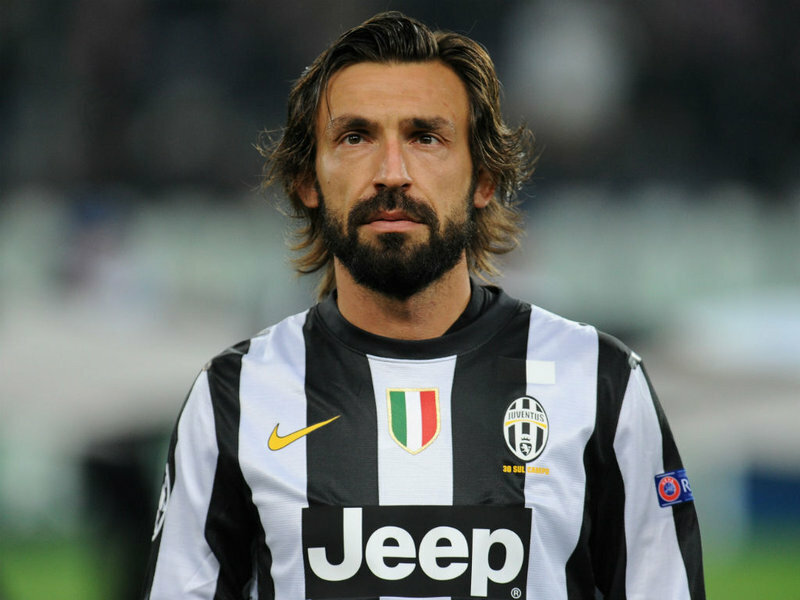 I picture the Florentine mercenary Orsino, for instance, as the Italian footballer Andrea Pirlo. I don’t have a very visual imagination so most of the characters I see in glimpses, like memories of people you met a long time ago. They come alive in the writing for me. BCN: Do you have a writing routine? Or is it something that when inspiration strikes you write non stop till you have it all out? MA: I did have a writing routine and then I had two kids. Nowadays I fit it around child responsibilities, the administrative super-gravity of modern life and teaching fencing (insert pun here). Last night I started writing at 10 at night and finished at 4 in the morning. That seems to work best for me, though it may well lead me to a ‘pretty much when we expected it’ grave. BCN: How have people taken the contradictions of faith described in your book? Have they been receptive to this alternate history? MA: Some people have clearly not understood it’s fiction. I am not saying that Lucifer made the world. I have no idea who, if anyone, made the world and my opinions on the birth of the universe are not informed enough to be worth committing to print. I’m just playing with the contradictions of faith as it was understood by medieval people. If you say God ordains the social order, appoints kings and gives them his power and similarly that fixes the poor in poverty and that social mobility is a sin against his, will then who do the poor turn to if they want to improve their lot? The theology of the book emerged as I wrote it and was a surprise to me – particularly the Luciferian view of the identity of Christ! BCN: What is next for your readers? I know I am looking forward to the next book. MA: The sequel to Son of the Morning is underway, with Isabella (She Wolf Of France), the Black Prince and a couple of other characters having more prominent roles. The pardoner is back, as is Dowzabel. The angels have gone and now devils and demons vie for control of Europe! BCN: What is your favourite cake? MA: Coconut Rock Cake from the Pavilion Café Brighton. Thank You Mark for a great interview.